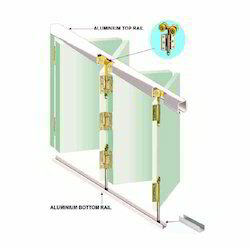 For the diverse requirements of our clients we are involved in offering a wide assortment of Folding Door Hardware. These are entering fold sliding and have folding door system for wooden doors. Offered products are highly acknowledged among our clients due to their high durability and fine finishing. In addition to this, we also assure to deliver our products in a committed time frame. Keeping in mind diverse requirements of our clients we are involved in offering a wide range of Door Fittings. 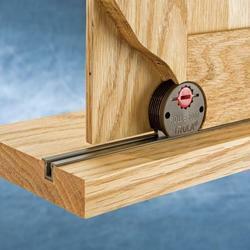 These are widely used for side hung doors and are well known due to their high reliability. We develop these using best quality material which we procured form the reliable vendors of the industry. Moreover, we offer these in market at very economical prices. Being a client centric firm we are involved in offering an extensive range of Sliding Hardware. These are widely used for wooden door systems and are well known due to their perfect finishing. These are tested under the vigilance of our experts before they are dispatched, thus render maximum client satisfaction. Additionally, we also assure timely delivery of our products. Looking for Window Door ?